Social media has been found to be the most effective digital advertising channel for getting more impressions, clicks and conversions. Facebook in particular stands out -- in some cases, 7x cheaper than the next most affordable social media ads channel (Twitter). 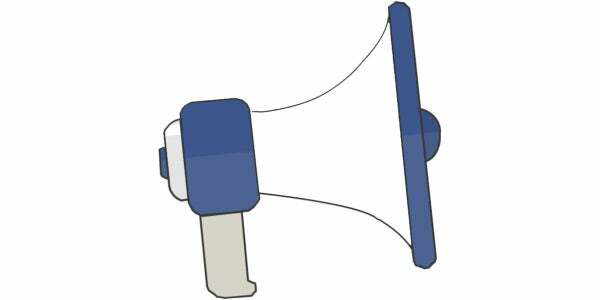 You can spend as little as $5 per day on Facebook advertising and see significant results. We’d love to make it easy for you to get up and running with Facebook Ads. These are the exact steps and lessons we’ve been taking to build up our own paid ads campaigns, and we’ll be keeping this post up-to-date with the latest news and learnings. 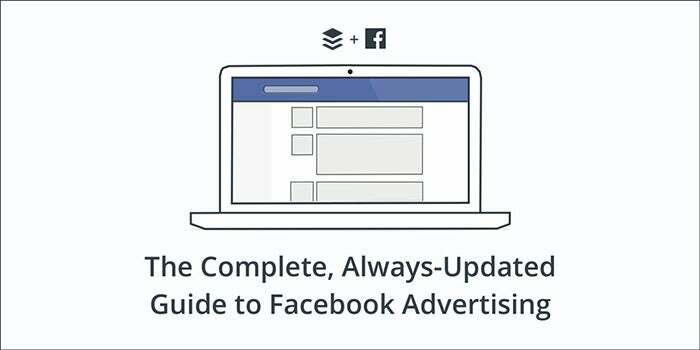 Chapter 1: An introduction to Facebook ads: a high-level look at the factors businesses and brands consider when choosing Facebook ads and some quick tips on getting started with ads. Chapter 2: How to guides: Information and screenshots on where to find everything and how to get set up with the various types of Facebook ads. Chapter 3: How to choose an audience for your ads: Audience targeting is where Facebook advertising can become truly powerful and significant. Here we show you how to find the right audience for your ads. Chapter 4: Budgeting, Analysis and Successful Strategies: Hoping to answer the question “What am I supposed to do here?” Strategies for audience, budget, ad types, messaging and visuals. 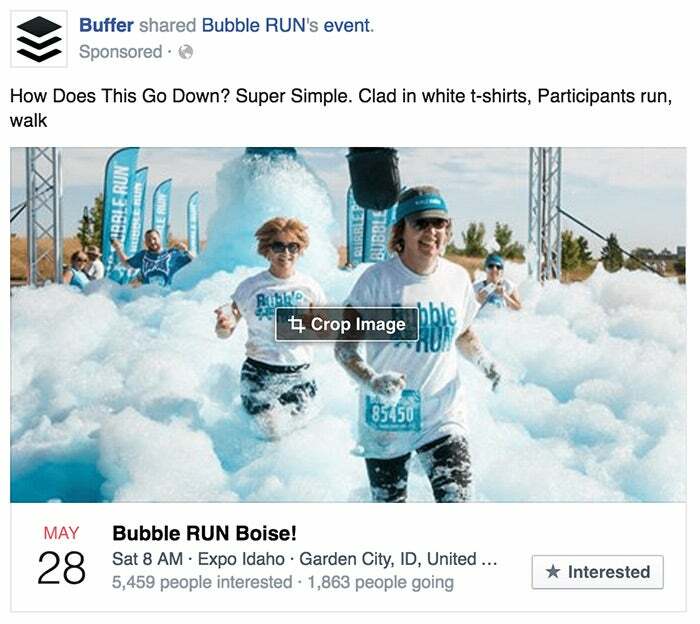 All the basics you need to get up and running with Facebook Ads. Facebook advertising is now one of the most effective tools out there to grow your business, create loyal customers and generate leads and sales. There are now over 3 million businesses advertising on Facebook and there’s never been a better time to start than now. Audience size: Facebook now boasts over 1.13 billion daily active users on -- 1.03 billion of which access the social network via mobile devices. Attention: People spend a lot of time on social networks. The average user spends about 50 minutes just on Facebook, Instagram and Messenger every day. Targeting: The targeting options within Facebook Ads is incredible. Business can target users with by location, demographics, age, gender, interests, behavior and much more. 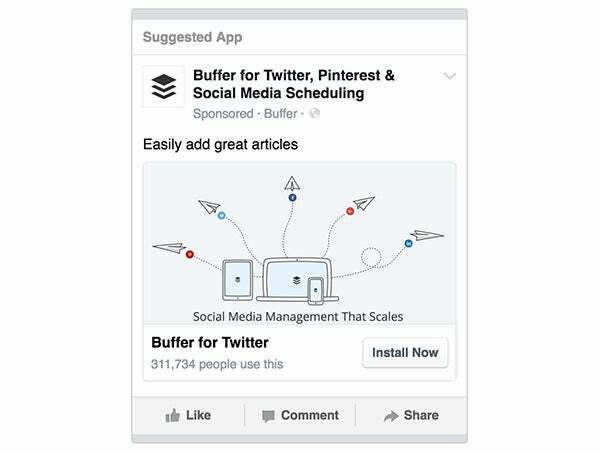 Before we get too deep into the specifics of Facebook advertising, I wanted to share this amazing list of pros and cons from the Moz blog, which was so helpful in our deciding how to pursue Facebook Ads for Buffer. To get to your Facebook Ads dashboard, you can head to https://www.facebook.com/ads/manager or click the dropdown arrow in the upper-right corner of Facebook and choose “Manage Ads” from the drop-down. 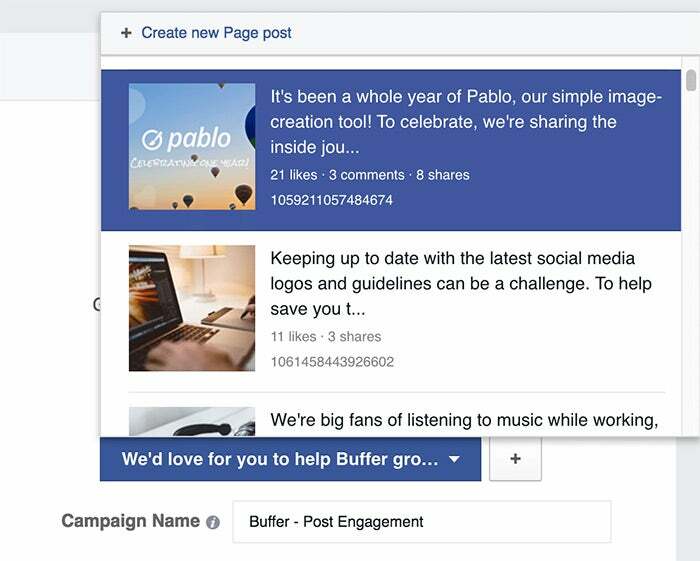 From the ads dashboard, you’re able to manage every aspect of your Facebook ads experience. There’s a lot here! This is where to find all the essential tools, menus and buttons. We’ll get into each of these options in the article sections below. Feel free to use CTRL+F or CMD+F to find any exact phrase you need. Facebook Ads are extremely versatile and there are now 11 different variations you can use to solve a whole host of business problems from driving traffic to your website to reaching people in your local area. Below is a list of the various Ads available to Facebook advertisers and throughout this chapter, we’ll walk you through each type individually. When you go to create a new Facebook ad (by clicking the green button on your ads dashboard), you’ll get to choose among these 11 different options, all of which with a unique focus for growing your business or your page. The general setup for each will be similar: You’ll go from choosing the type of ad (the objective), to choosing the audience and the budget (the ad set), to making the ad itself (the ad). Here’s a quick run down of each of the 11. At the next step, you can set your audience and budget. After setting audience and budget, you can move ahead into the ad creative. The good news with boosted post campaigns: The ad creative is already set for you! The creative is the post! And from here, you can also set which locations you’d like your ad to appear. For any spots you’d rather not show your ad, click the Remove link to the right of the preview. After setting audience and budget, you get to set the creative elements of the ad: photo, text and more. First off, you’ll be asked to select an image to use; you can choose to upload your own, select from a collection of searchable stock photos from Shutterstock or pick from a library of images you’ve used on previous ads. 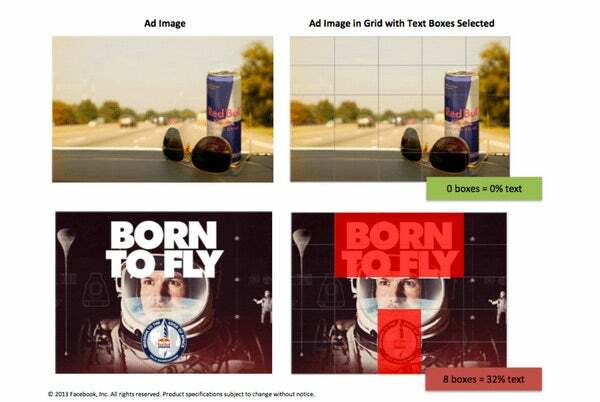 To easily create variations of your ad and test how different images perform, you can create up to 6 ads at once by uploading multiple images from this one screen. This last guideline is an interesting one! Up until a few weeks ago, this was a rule, rather than a guideline. Ads would be rejected if the image exceeded 20% text. 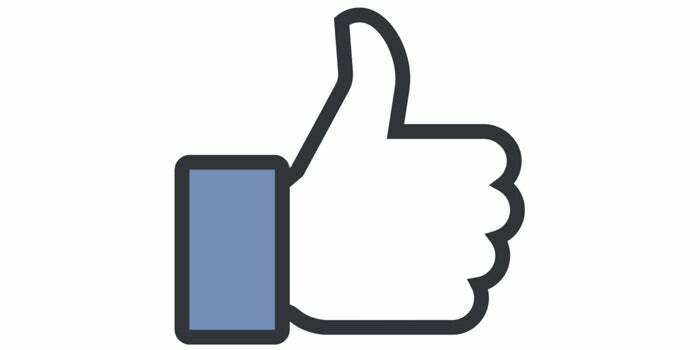 The 20% guideline was put in place for a very good reason: Facebook is mindful of the aesthetic of having ads appear on its network and wants to ensure the highest quality and best experience possible for its users. Facebook users prefer ads with less text. 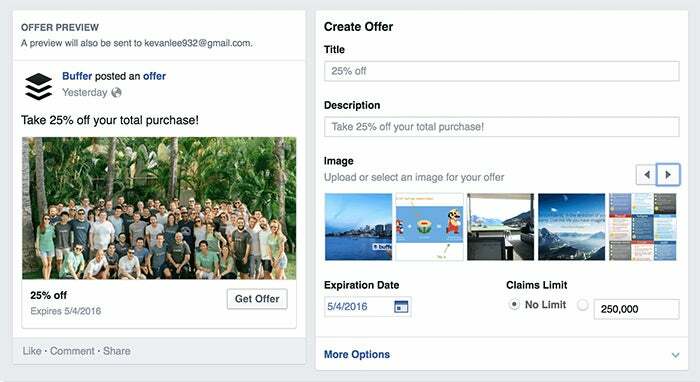 Facebook offers a tool to check the 20% text rule and see if your image meets the guideline. Visit the tool and upload your image. 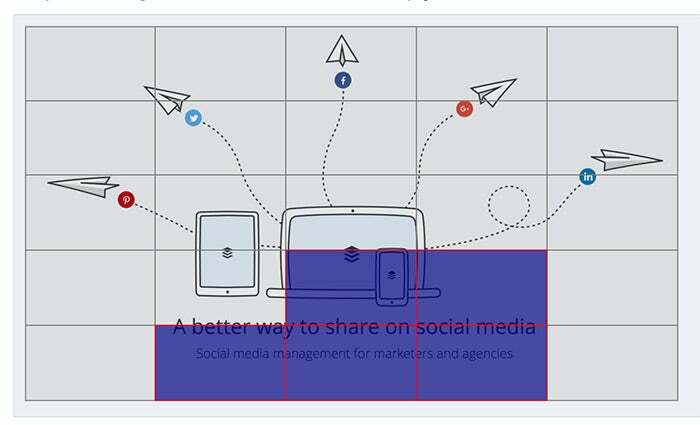 Facebook adds a grid overlay to the image and you can click any box that includes text. If the boxes you’ve selected make up less than 20% of the image, you’re good to go! Additionally, you can upload a series of three to seven photos that Facebook will stitch together as a slideshow video. You can select the shape of the slideshow (square or rectangle), the length that the image stays visible and the transition (none or fade) from one image to the next. And if you have a video that you’d prefer to use for the page promotion, you can add it here also. After selecting an image, slideshow or video, you can customize the text that appears as the update above the ad. Click in the “Text” box to edit. You have an upper limit of 90 characters to use. From the right-hand panel of the Ad Editor, you can preview your ad and select which locations you want it to appear. 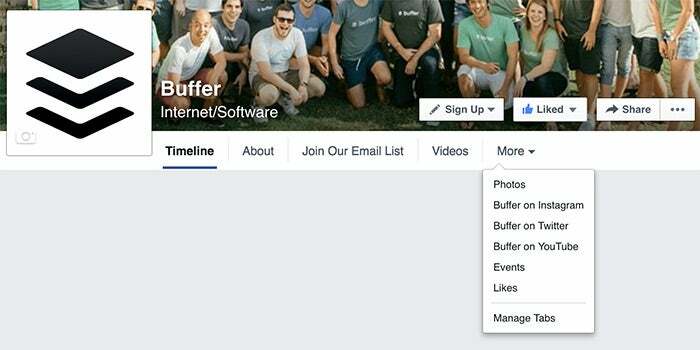 By default, Facebook will show the ad on the desktop News Feed, mobile News Feed and the desktop right column. Click to remove any of these options. Under “Show Advanced Options,” there are three additional places to customize. 1. Add a headline (this only appears in the desktop right column). 2. Choose where the visitor ends up should they click through to your page. By default, people will arrive at your Timeline. You can also select any other page that you have linked to from your Facebook Page menu, like Video, Photos, Events or custom pages. 3. You can also track conversions. 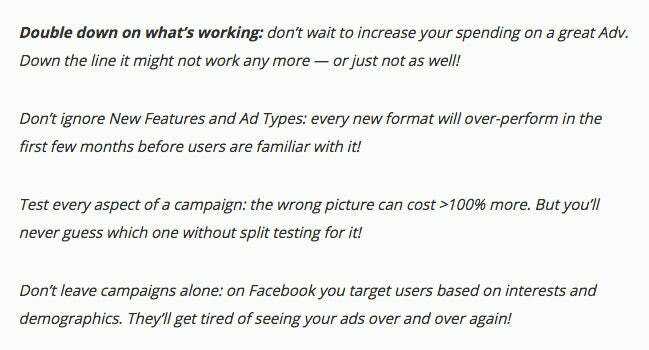 Conversion tracking with Facebook involves the installation of a conversion pixel, which I’ll cover in a section below. Hop there now if you’re curious. After setting audience and budget, you get to build the creative. The first customization option for website traffic ads is choosing if you’d like to show a single image or video in the ad or show multiple images in the ad (up to five). For choosing a single image or video, you’ll see the same image options that you had for the “Promote your Page” ad: single image, slideshow or video. For the multiple image option, you get to build a carousel of pictures, each with their own headlines and descriptions. Image: Upload a new image or choose one from your library. You can crop the image from within the editor so you get just the right parts showing. Call to Action: Changes to the call-to-action are reflected on all your carousel slides. You can choose among Apply Now, Book Now, Contact Us, Donate Now, Download, Learn More, Shop Now, Sign Up, Watch More or no button. Showing your ad on Facebook’s Audience Network, other mobile apps and networks owned by Facebook. Showing your ad on Instagram. Each option comes with previews within the ads editor so you can see your ads in action. Give this campaign a name. After setting audience and budget, you can build the creative for you ad. Like other ads, here you’ll have the choice between a single image/video or multiple images. Other customization options will be familiar, too: Headline, text, Facebook page, etc. For this ad type in particular, there are just a handful of differences. 1. Ad Preview: App install ads only appear on mobile apps and websites. 2. Deep links: You can link directly to a particular screen or state within your app. For instance, if you have a URL that points to a specific product page or account page within the app, you can link directly there. Choose an app, either by typing in the name of your app or by pasting a URL from the iOS App Store or the Google Play Store. After setting audience and budget, you can build the ad’s creative elements. For the “Increase app engagement” ad type, the settings here are the exact same as they are for the “Get app installs” ad type. The main difference between the two is in the destination and goal for each. For app installs, you’ll typically be interested in gaining more point-of-entry signups, linking to the installation page for your app. With the “Increase app engagement” ad type, you’ll likely be interested in Facebook’s Deep Links settings, where you can link to specific places within the app and drive more engagement there. For instance, at Buffer, we might advertise to current app users and include a link for them to view the posts in their queue (and link directly there). At the next step, you can set your audience and budget. 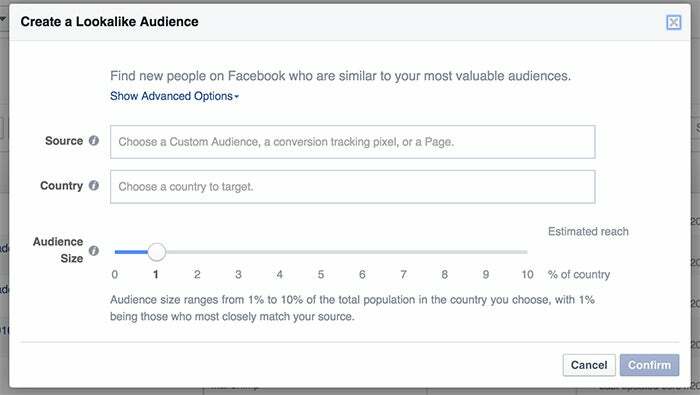 Unlike all other Facebook ad types here, the Audience settings for “Reach people near you” will ask you to choose an area from a map and then target the ad toward people in those areas. 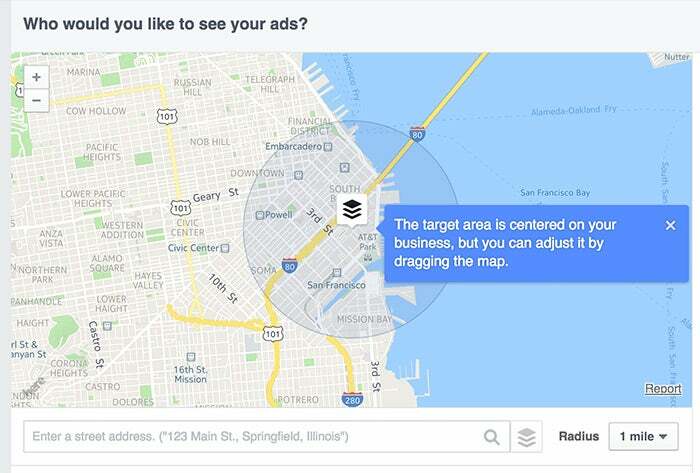 By default, the map will center on your business’s street address. You can enter any address you’d like in the text box below the map and set the Radius to any of 8 defaults (from 1 mile to 50 miles) or a custom mile radius. Once the map is in place, you can also click to move the target area to a different point in the map. 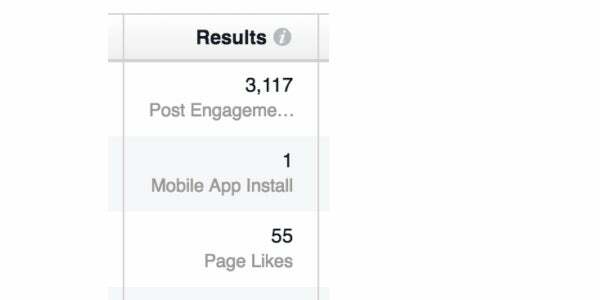 For the “Like Page” option, the ad will be geared toward driving Page likes. You can change the images, the main text, the headline, and the link description for this ad. For “Call Now”, you can make the same changes as with the “Like Page” campaign, plus you can also include your phone number. For “Learn More,” when people click the Learn More button, they’ll be taken to any URL you choose. All the same customization options appear here (images, text, headlines) plus an additional box for the URL of your choosing. For “Send Message,” when people click the Send Message button, they’ll have the chance to send you a message through your Facebook page. At the next step, you can set your audience and budget. The ad’s audience will default to a segment near the location of your event. After setting audience and budget, you can create the ad itself. 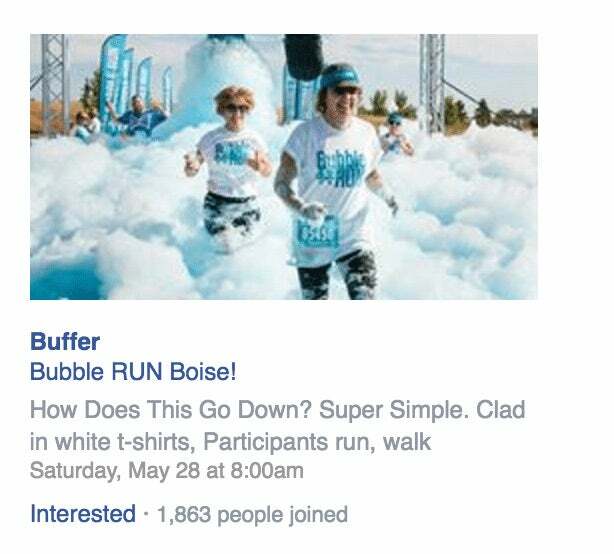 Facebook will grab the main image for the event automatically and suggest it as an image to use in the ad. Like other ad types, you can create up to six ads to test by uploading multiple images. There’s always just the one image per ad. You can see an ad preview above for the specific layout of these elements. … and for the desktop right column. For additional customization, you can change the text that appears as the update above the ad. You can also ad custom URL tags and conversion pixel tracking. For the offer, you can call it out directly in the headline and text, then link to a landing page or include a promo code. In addition, you can set the dates of the offer as well as a limit to the number of people who take advantage. 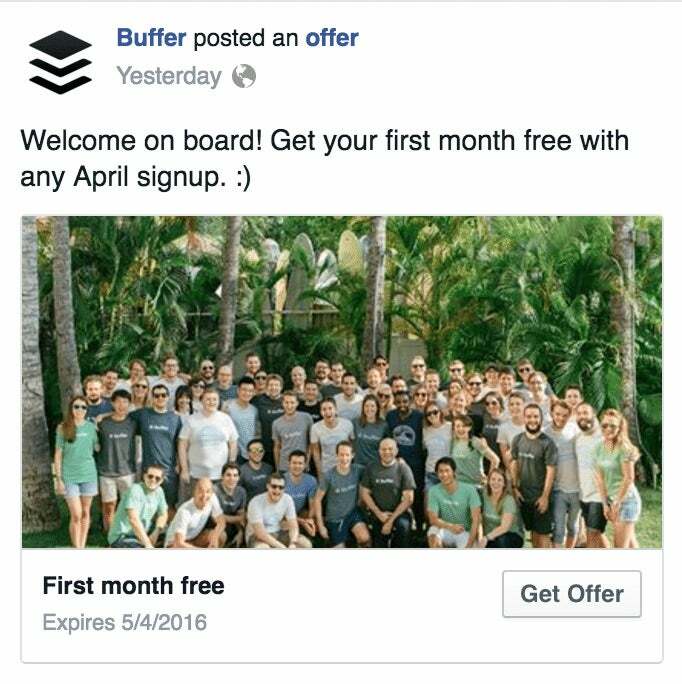 Once you’ve created/chosen an offer to boost, you can set your audience and budget. After setting audience and budget, you can preview how the ad will look in the desktop/mobile News Feed and the desktop right column. There aren’t really any customization options here, other than adding URL tags and conversion pixels. Much like a boosted post, this one will go out looking near identical to the original offer post. Alternately, you can use a series of 3 to 7 images as a slideshow, which will autoplay as a video in the News Feed. After the video’s been selected, you can edit the way the ad appears by customizing the text and buttons. 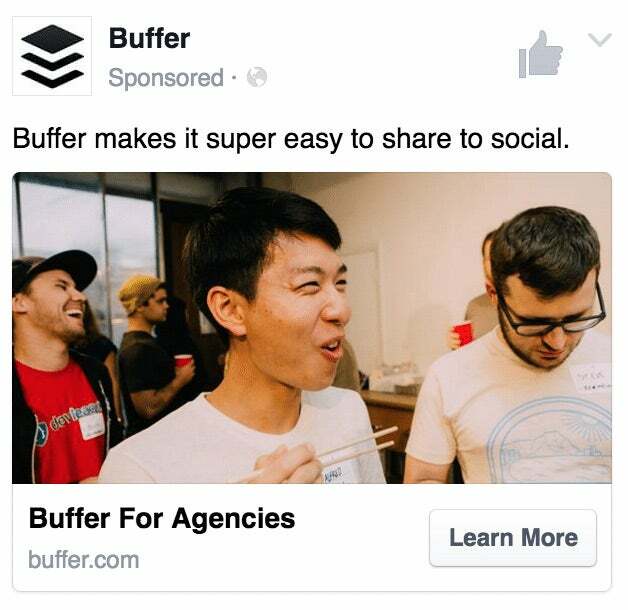 By default, Facebook does not show a button, allowing the ad to focus on purely gaining more video views. You can edit the text that appears above the video. For each of these button options, you can customize four additional text fields: the website URL, the display URL, the headline and the link description. After setting audience and budget, you’ll go to the ad creative. Building the ad will be the same as it is for most other campaigns. You can customize the image and the text that appears in all places on the ad. 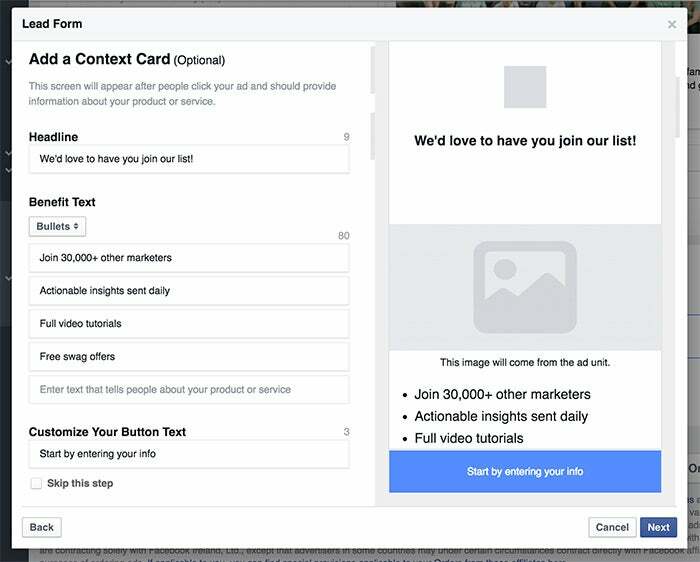 Each of these buttons will link to a form that you can create within the Facebook ad editor. Below the customization section is the Lead Form section, and in here you can choose to attach an existing Lead Form that you’ve previously created or create a new one. Give the form a name and choose the primary language. Select which information you’d like to receive. By default, Facebook will suggest the email and full name of the person. You can click below these two options to expand the listing to include 19 more options (admittedly, some of them more useful than others). You can also ask three custom questions in addition to the options above. 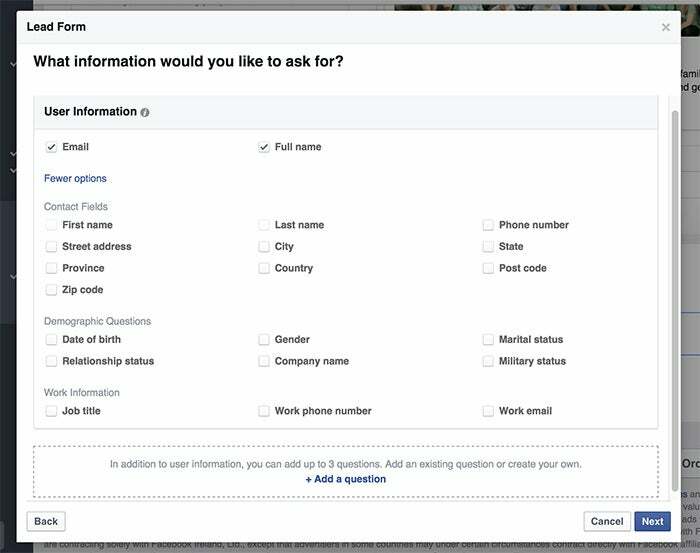 Facebook suggests particular info you might wish for here, or you can type a fully custom question of your own choosing. The preset suggestions include things like buyer intent (“When do you plan to make a purchase?”) to car details (“Choose a car model.”). The open-ended question can be whatever you’d like. You can customize the answers for each question, or leave it open-ended as well. And (final step) you can include a link to your website for people to visit upon completing the Lead Form. The context card works great for explaining the benefits of what you’re offering! After settling on all these details, you’ll get a chance to preview the flow of your form and then confirm and save. You can now use this form from any Lead Ad you create moving forward. In each ad set, you’ll have the chance to target a specific audience with your ad, and this is where Facebook advertising can become truly powerful and significant. There is lots to understand about how these audience segments work, and there’re plenty of strategies to try, too. 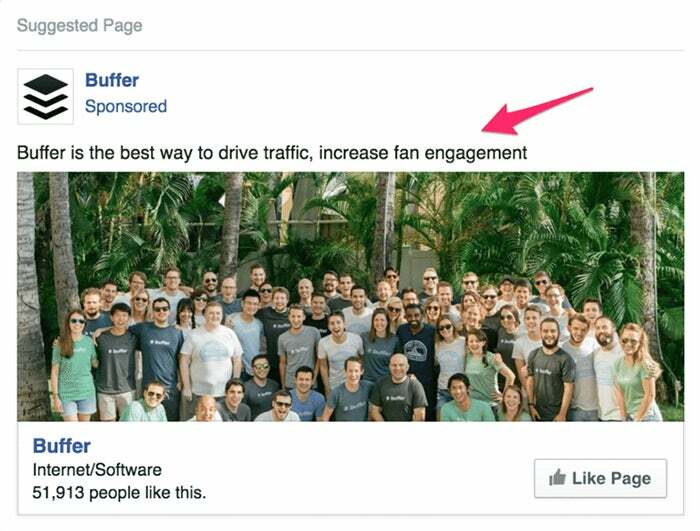 Here’s a quick overview of how and what to do with choosing a Facebook ad audience. Location segmentation allows you to include or exclude people who will see your ad, based on where they are in the world. Like most Facebook ad settings, the location info is quite robust. Then you can add an exact location by typing in the name of a country, state, region, city, postal code, address -- even a Nielsen TV region or congressional district. Once you’ve entered a location, you can fine tune the radius that you’ll use to target. By clicking the “+25mi” text next to the city name, you’ll get a drop-down that allows you to pick just how wide you’d like to target: everything from just the exact city itself to 10 miles up to 50 miles. You can add as many locations as you’d like by repeating the steps above. Also, if you have a big list of locations to add, you can do it in bulk by pasting in from a spreadsheet or text file. For language, you can leave this one blank unless the audience you’re targeting speaks a different language than what you’d typically find in the locations you’ve chosen. Like with other ad settings, you have the choice with these options to either include or exclude based on factors of demographics, interests and behaviors. The default option here is to include anyone who matches any of the segments. To further narrow the audience, you can add a segment that all potential audience members need to meet. Last, you can choose to segment based on how a person has (or hasn’t) interacted with your Facebook page, app, or event before. This can be a necessary segmentation feature, particularly if you’re trying to track down an audience that might not be familiar with you, or to followup with an audience that already has context with what you do. Here are the options for each. This is really neat stuff: A custom audience is a group of people who have a previous relationship with you, perhaps as customers or contacts. You can build an audience of just these particular people and serve your ads directly to them. To get started, click the “Create new custom audience” link at the top of the audience settings page. Your previously created custom audiences appear just above, and you can select those for future campaigns. A popup will appear with three different ways to create your audience: Customer List, Website Traffic or App Activity. With the Customer List, you can upload or copy/paste a data file of email addresses, phone numbers or Facebook user IDs. Facebook also integrates directly with MailChimp so you can pull from your existing MailChimp lists to create a custom audience. With the App Activity, you select one of your connected Facebook apps and segment based on activity within the app. Custom audiences help to further refine the pool from which you can segment. For instance, once you select or create a custom audience, you can then go ahead and continue to filter that audience based on location, demographics, interests and behaviors. Once you’ve created an audience, you can save it for quick use next time. Check the box at the bottom of the audience settings to name and save this particular audience. The next time you create an ad, you can choose an existing audience at the top of the settings. 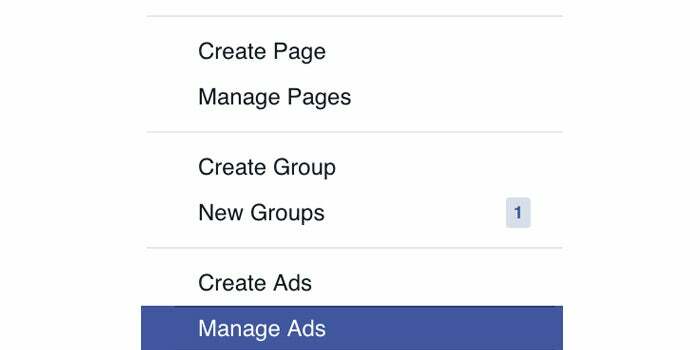 In the budget settings for your Facebook ad, you’ll get to control a couple of important elements: How much you want to spend and when you want to start spending it. There are further, specific customization options at this stage, too, for those eager to have even more control over the specifics of delivery. By default, Facebook starts out suggesting a $20.00 daily budget. You can adjust this however you want, choosing either “daily” or “lifetime” budget and also editing the amount you’re wanting to spend. With the daily budget, the amount you set is the maximum you will spend on any given day. With the lifetime budget, the amount you set is the maximum you will spend on the lifetime of your ad. When you choose a lifetime budget, you will also need to set a start and end date for your ad. The option to run the ad continuously is no longer available. In theory, you might have 1 campaign with 5 different ad sets and 10 different ads in each ad set. Numbers get bigger the more levels you go down. 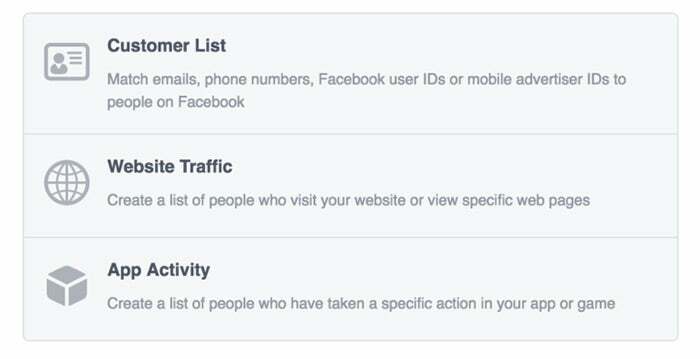 To see an overview of stats from any of these categories, you can quickly toggle back and forth from your main ads dashboard (http://facebook.com/ads/manage). You can click on any individual campaign, ad set or ad to see just the stats for that particular look. To see multiple ones at once, click the checkbox next to each and then select View. All data can be sorted by clicking on the heading for each column, and the data can be exported by clicking the Export button in the top right corner above the data table. The stats for each have a robust set of data based on performance, delivery, cost, relevance and more. You can toggle between these different looks by clicking through to campaigns, ad sets and ads or by switching the view from the drop-down boxes above the right-side of the stats table. Results -- “How many actions has this campaign received?” i.e., clicks, installs, likes and more. Facebook tells you which specific actions are assigned to the campaign. To drill down even further, you can click on each individual ad to see charts and stats specific to that ad. 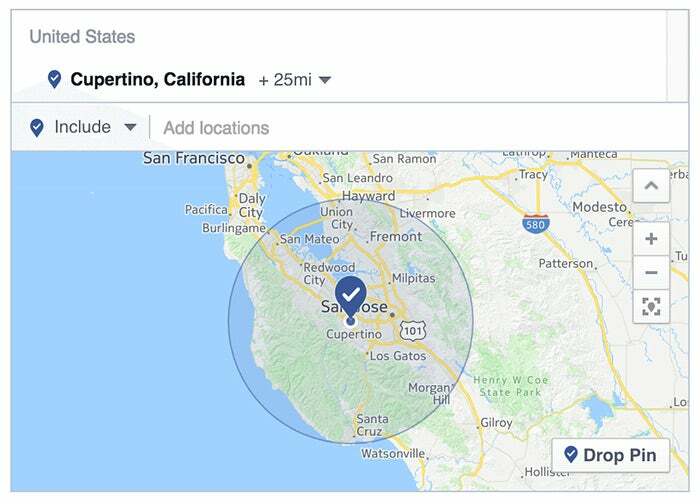 Facebook has a unique system for tracking actions that occur after someone leaves a Facebook ad and travels to a web page. You can install a Facebook pixel that tracks things like page views, registration and orders. To get your Facebook pixel, go to the menu at the top of the page, and select “Pixels” under the “Assets” menu. From the pixel page, click Create a Pixel. Then click View Pixel Code. The pixel code goes into the code of your page, in the section. You can copy and paste the code from Facebook into your page, and for further tracking, you can add any number of variables to your code from Facebook’s many options. For example, if you were to add extra conversion tracking for Leads to your Facebook code, you might take the original code from Facebook and add in the extra snippet for Leads to the page where your lead capture takes place. 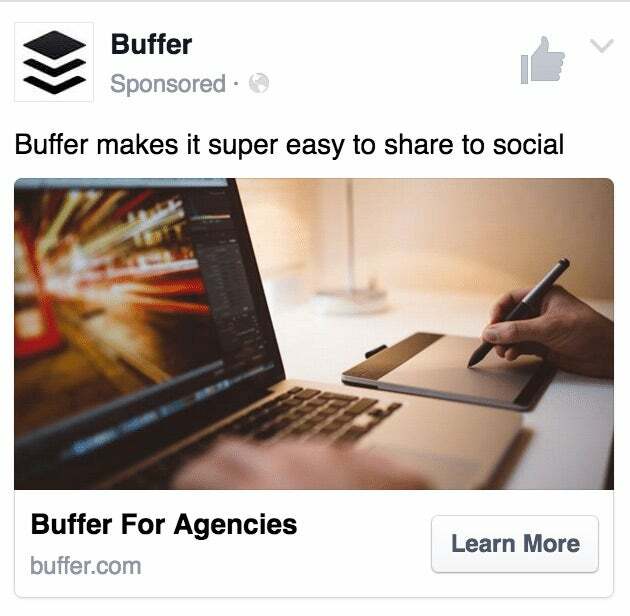 Do I have to have a Facebook page to run an ad? A lookalike audience is a collection of Facebook users who are similar to your Facebook fans, website visitors or customers. You can create a lookalike audience from the Audiences section of Facebook Ads (from the menu, it’s under Assets > Audience). Click to “Create Audience,” and choose “Lookalike audience” from the list. Setting up the audience, you start by selecting a source for Facebook to compare with. This can be an existing custom audience, traffic from a tracking pixel or the fans from a Page. Lookalike audiences work for one country at a time, so after selecting a main source, you’ll next select the country to choose among. And finally, the last step is to set the size of the audience. You can drag the bar back-and-forth to select between 1% and 10% of the country’s residents for Facebook to analyze and compare. Dark posts are normal-looking Facebook updates that are intentionally never shared organically and only served as ads. 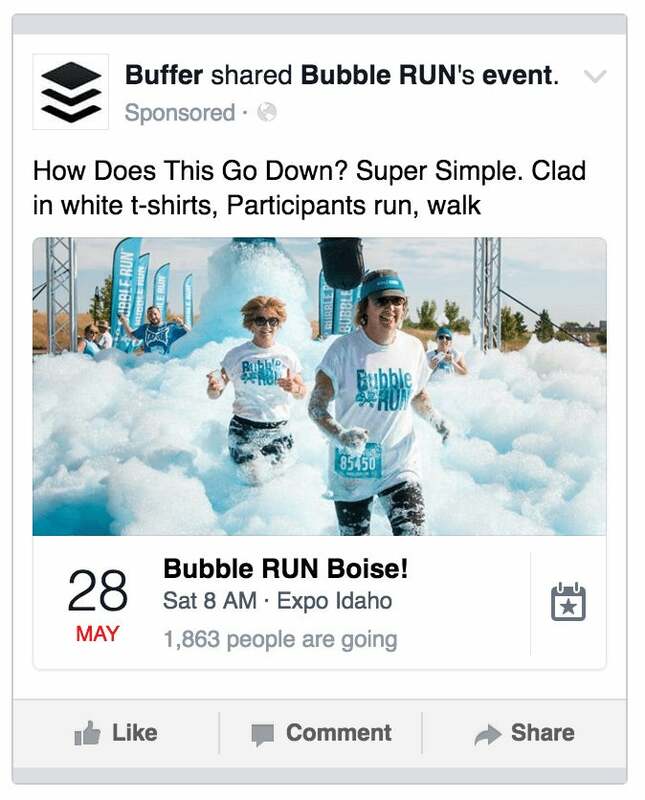 You can create dark posts through the Facebook Ads power editor. What is the power editor? What is the audience network? The Audience Network placement extends your ads’ reach by showing them to the same target audience on other mobile apps and mobile websites approved by Facebook. 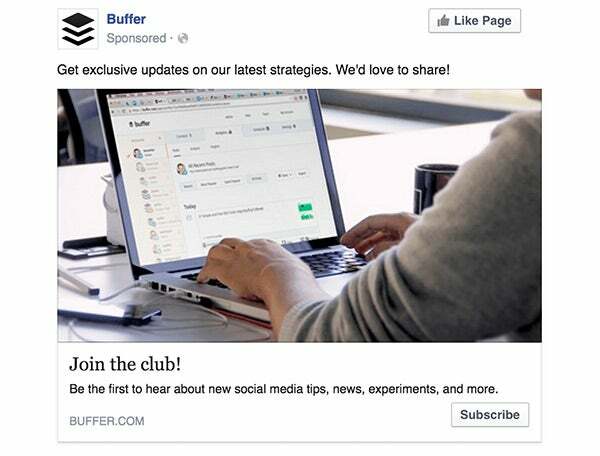 There’s a host of great information out there on Facebook advertising tips and best practices. Ad Espresso has a wonderful blog, the Facebook content on Moz is outstanding, everything Jon Loomer writes is incredible. 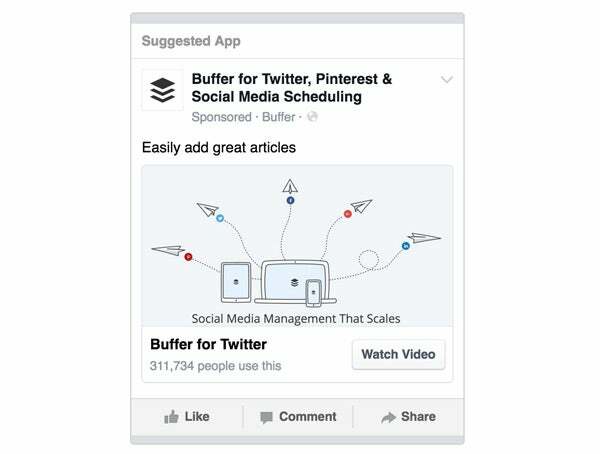 We’ve collected some of our favorite tips and tactics for Facebook ads here. We’d love to hear what’s worked for you, if you’re up for leaving us a comment! This article is chock full of useful tidbits: the pros and cons list from earlier came from Karen’s great work here. 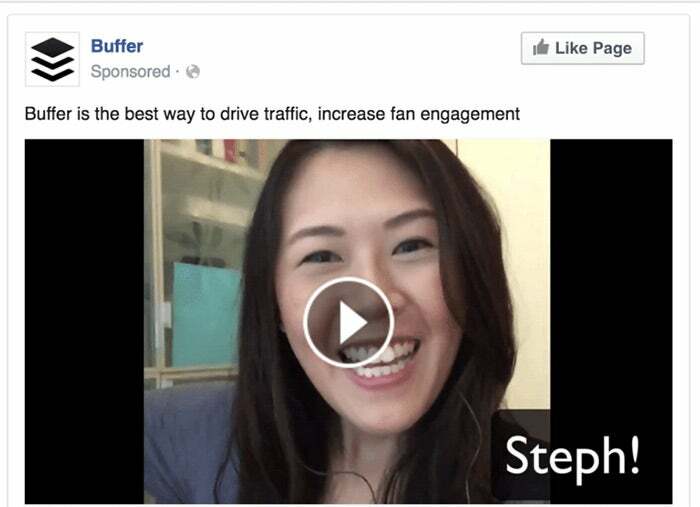 She goes on to recap some of her top takeaways for successful Facebook ads. 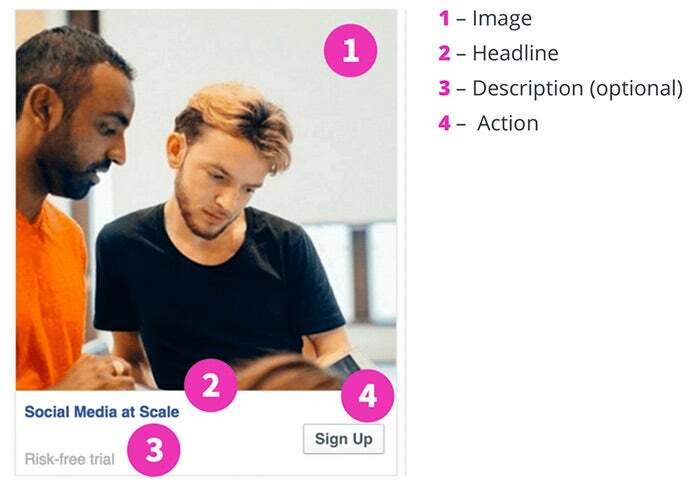 The team at AdEspresso has some fantastic advice on best practices for Facebook advertising (they’re drip campaign emails for new signups are particularly fantastic). 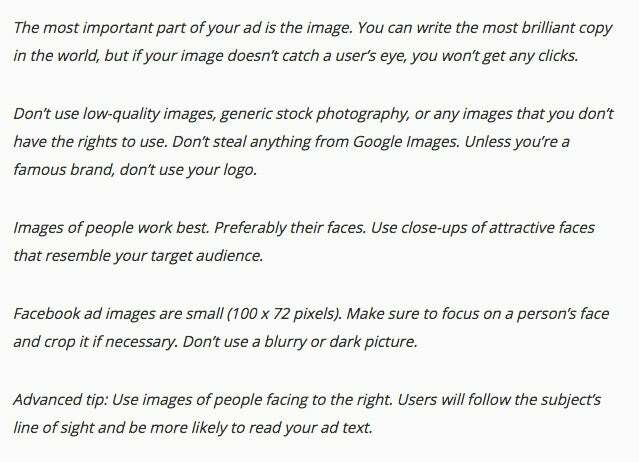 Another gem from AdEspresso, this one covers the do’s and don’ts of Facebook advertising and gets into some wonderfully specific advice. I love this post from Kane about his learnings with Facebook Ads. It’s a great primer for beginners (with something to be learned for pros, too, I’d imagine). Kane mentions that you can even go so far as to select an audience of cyclists if you have a cyclist in your ad creative. Awesome!